So many people in our community have been to Camp Jack Hazard and hopefully, with your help, the next generation can experience the benefits of Camp in the future. The Camp narrowly escaped destruction in last year’s Donnell fire, but there is a lot of clean up needed. 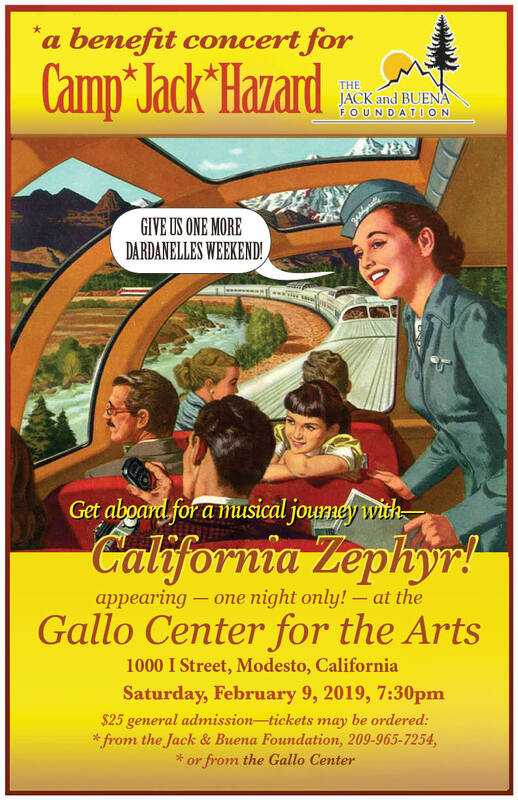 A really fun fundraiser concert featuring an amazing reunion of one of our area’s legendary bands, California Zephyr is happening at the Gallo Center on February 9. The camp experience is one of those things that create strong friendship bonds, great memories and builds character. The Jack and Buena Foundation owns and operates the camp and your contributions are so very important. Local singer songwriter Brett Dennen developed a lot of his music skills at Camp Jack Hazard and has gone on to become a globally famous performer. So you never know what can happen. 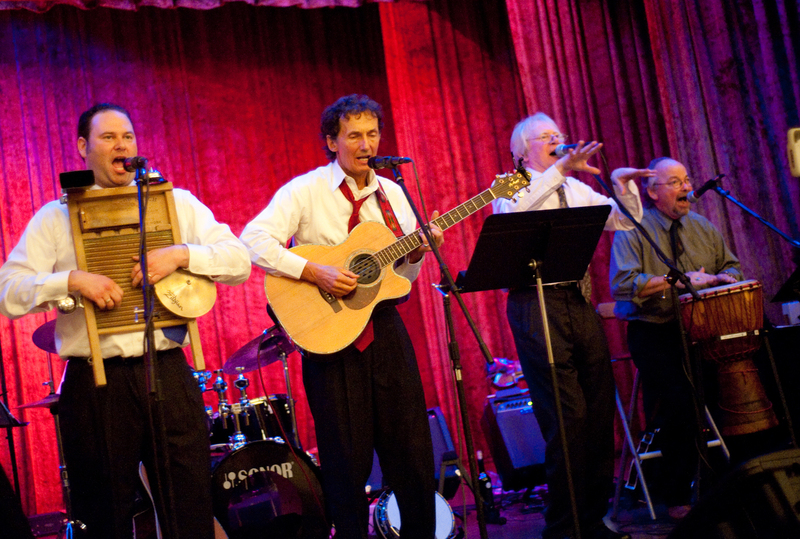 Award winning musician and Modesto native, Alan Arnopole co-founded the band California Zephyr in 1975 and thus began years touring the United States and Canada. Zephyr performed at venues both great and small, including The Grand National Rodeo, The Calgary Stampede, The Grand Hotel on Mackinaw Island, California Sate Fair, Harrah’s – Lake Tahoe and Reno, Las Vegas, Nashville, and on radio and national TV. Prior to Californa Zephyr, Alan toured the Southwest with the stage production “Hard Travelin’” – a tribute to the life and music of Woody Guthrie, which ultimately led to an appearance in the Academy Award-winning Guthrie biopic “Bound For Glory.” Don’t miss this wonderful event.